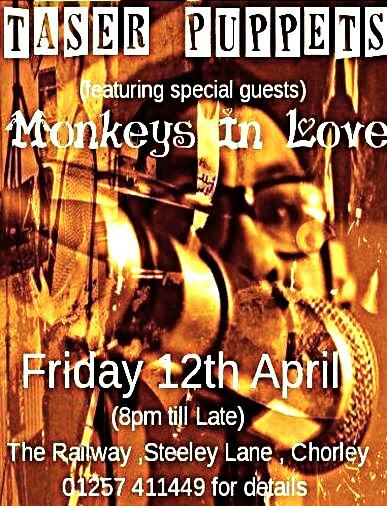 Posted on April 1, 2013 by HalfEdgeMediaPosted in Gig NewsTagged Monkeys in Love, Taser Puppets. Previous Previous post: Boney Mmmmmmm!! !